In recent studies performed by the Food and Drug Administration, it is suggested that antibacterial soap may not be more effective than regular soap and water. In addition, many antibacterial soaps could potentially contain harmful ingredients that could outweigh any of the benefits of antibacterial soap. Board-certified dermatologist and cosmetic surgeon Dr. Joel Schlessinger is wary of antibacterial soaps. Some studies have found that antibacterial soaps may be contributing to antibiotic resistance, creating a much more powerful and dangerous strain of bacteria. Other cleaning options also have their downfalls, Dr. Joel Schlessinger explains. Other options include alcohol-based gels and sanitizers, but Dr. Joel Schlessinger is hesitant with using only these options for cleansing. 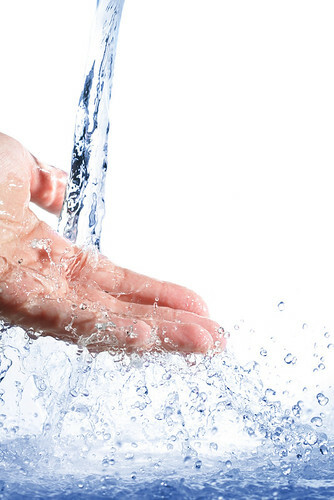 Dr. Joel Schlessinger recommends regular soap, water and the CLn family of products. CLn is a gentle and soothing family of products designed for skin prone to infection. Visit LovelySkin.com today to purchase your CLn products and protect yourself and your family from antibacterial soaps. Obagi skin care creates some of the most effective product lines on the market. The brand’s newest line, Obagi Gentle Rejuvenation, is specifically designed for patients with sensitive skin who cannot tolerate more aggressive anti-aging regimens. In his latest presentation, Joel Schlessinger MD shares more information about this new line of skin care products. Obagi Gentle Rejuvenation features the same Pro+Therapy MD formulas you know and love, Joel Schlessinger MD explains. Pro+Therapy MD products have transitioned into the Obagi Gentle Rejuvenation line. Although the packaging is brand new, each formula has remained the same. The products still contain kinetin and zeatin, two powerful plant-based growth factors that help diminish the signs of aging. Plus, some of these formulas are now sold at a lower price for a better value. In addition to giving your old favorites a makeover, Obagi has created a few new products just for this line, Joel Schlessinger MD says. The Gentle Rejuvenation line includes two new formulas to benefit your sensitive skin. Obagi Gentle Rejuvenation Soothing Cleanser is a gentle face wash that removes impurities while calming redness and inflammation. Specifically designed for skin that is prone to irritation, this cleanser won’t harm your sensitive complexion. Also new to the line is Obagi Gentle Rejuvenation Fortified Sunscreen with Vitamin C. This broad spectrum sunscreen contains vitamin C to help prevent the signs of aging. Patients looking for a comprehensive regimen should try the Obagi Gentle Rejuvenation System Kit, which contains a cleanser, sunscreen, moisturizer and night cream. Do you have questions about Obagi skin care products for Joel Schlessinger MD? Share with us in the comments. Blemishes and breakouts aren’t just for teenagers. Many adults battle acne as well. Fortunately, there are several ways to treat unwanted breakouts both at home and with help from your dermatologist. In his most recent presentation, Joel Schlessinger MD discusses this common skin concern and highlights a few of his favorite treatment products. Adult acne is often caused by a combination of things, Joel Schlessinger MD explains. Stress, fluctuating hormones and excess oil production all contribute to the formation of blemishes and breakouts. Additionally, mature complexions have a slower cell turnover rate, which leads to clogged pores and congested skin. There are three main causes of adult acne. First, the skin could be affected by a hormonal imbalance. Hormones cause breakouts by increasing oil production and trapping bacteria inside pores. This type of acne often occurs for women during menstruation. Second, breakouts on the skin could actually be caused by rosacea. Often called adult acne, this condition is characterized by areas of flushing and blushing with occasional blemishes. The third main cause is yeast-based acne, also known as pityrosporum folliculitis. This condition appears as tiny bumps on the forehead. In some cases, these bumps may spread to the chest and back. Joel Schlessinger MD shares a few of his favorite formulas that will help treat and prevent adult acne. There are several ways you can treat blemishes and breakouts at home. Joel Schlessinger MD recommends starting with a comprehensive skin care routine like LovelySkin Acne Care Starter Set. If you’re battling signs of aging as well as breakouts, try SkinCeuticals Blemish + Age Defense. This salicylic acid treatment works to correct blemishes, fine lines, wrinkles and hyperpigmentation all at once. Finally, protect your clear complexion with a sunscreen like EltaMD UV Clear SPF 46. This gentle, oil-free formula is perfect for acne-prone skin. Do you have a question for Joel Schlessinger MD about adult acne? Share with us in the comments.